It was a great experienced. Though it was quite rushing, our guide, Mr Taka, was very patient with us. He even helped us to arranged the route back to Osaka. Venture beyond Osaka to see the wonders of rural Japan. 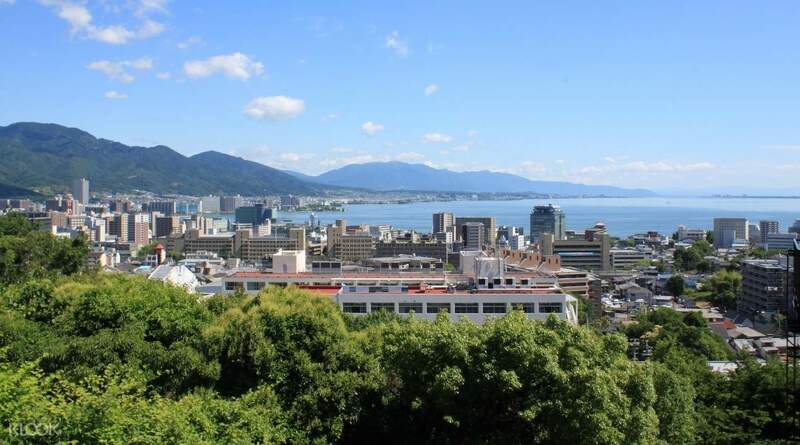 Begin your tour by visiting the gorgeous Lake Biwa, the county's largest and oldest freshwater lake that serves as home to thousands of plants and animals. You can take scenic photos of the lake's expanse, marvel at the incredible torii gate that stands in the middle of the lake, and revel in the soothing sounds of its rippling waters. 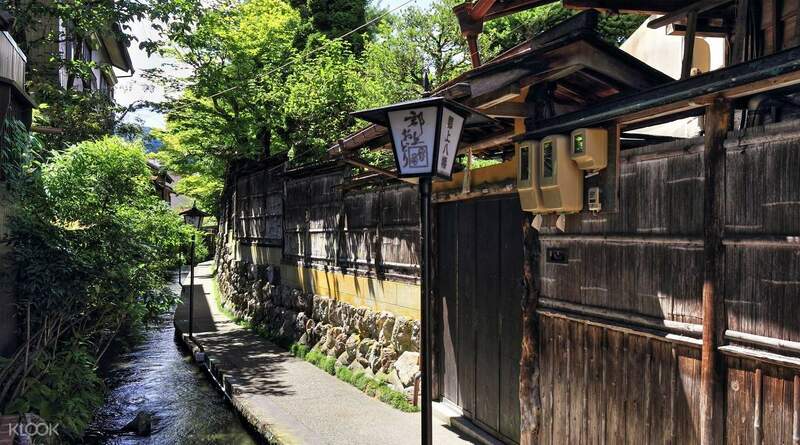 After a relaxing time strolling by the lake, you'll be taken to the quaint and humble town of Gujo Hachiman, characterized by its many canals and waterways. If you're lucky, you might get to see the locals wash their vegetables or do their laundry using the many fountains in the town. Gujo Hachiman is also the center of food replica production in the country. If you have money to spare, you can experience creating a wax replica of your favorite Japanese dish to commemorate this trip. 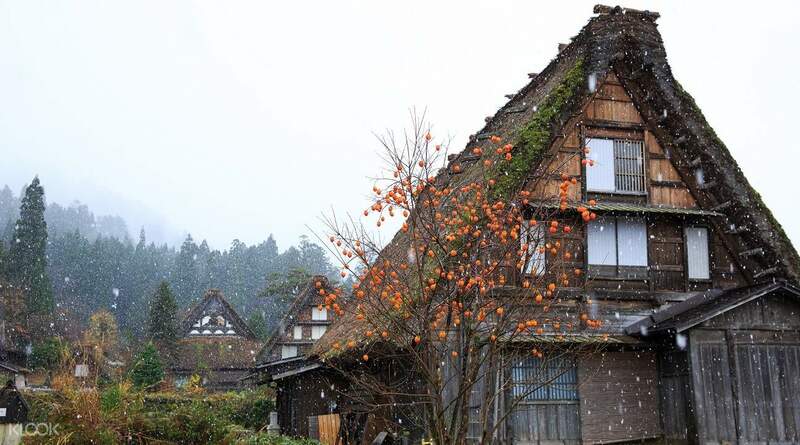 To cap off this adventure, you'll spend some time in the Ogimachi Village at Shirakawa-go where you can admire the hundreds of Gassho-zukuri houses that are lined up inside it. These houses have a peculiar roof design that's said to resemble the clasped hands of a monk in prayer. This trip is a must for those who want to learn about Japanese culture beyond the country's cities. We enjoyed this tour from Osaka-Lake Biwa -Gujo Hachima-Shirakawago village, as well as the drop off point at Takayama. This is a daily tour and we were very lucky that only 4 of us booked this tour on that day the and tour operator was still using limousine coach with a nice lady tour guide that guided us for the entire journey, she is super friendly and compromising, this tour are included a delicious lunch too. My kids love making food samples and play snow in Shirakawago village After which, we will drop off at Takayama between 5pm to 5.30pm to end our tour . And we self-arranged to stay 2 nights in Takayama . If you stay in Takayama , you must go to Shinhotaka mountain during winter period, definitely you will not regret. We enjoyed this tour from Osaka-Lake Biwa -Gujo Hachima-Shirakawago village, as well as the drop off point at Takayama. This is a daily tour and we were very lucky that only 4 of us booked this tour on that day the and tour operator was still using limousine coach with a nice lady tour guide that guided us for the entire journey, she is super friendly and compromising, this tour are included a delicious lunch too. My kids love making food samples and play snow in Shirakawago village After which, we will drop off at Takayama between 5pm to 5.30pm to end our tour . And we self-arranged to stay 2 nights in Takayama . If you stay in Takayama , you must go to Shinhotaka mountain during winter period, definitely you will not regret. It was a great experienced. Though it was quite rushing, our guide, Mr Taka, was very patient with us. He even helped us to arranged the route back to Osaka. It was a great experienced. Though it was quite rushing, our guide, Mr Taka, was very patient with us. He even helped us to arranged the route back to Osaka. A little bit tiring coz of long trip but overall, superb experience! A little bit tiring coz of long trip but overall, superb experience! The tour leader is very helpful and friendly. We made a mistake didn't know is a one way tour and tour leader makes an effort explaining and helping us to get tickets back to osaka. The entire trip is not bad but abit too expensive only visiting 2 places and 1 lunch included. The tour leader is very helpful and friendly. We made a mistake didn't know is a one way tour and tour leader makes an effort explaining and helping us to get tickets back to osaka. The entire trip is not bad but abit too expensive only visiting 2 places and 1 lunch included.